No one can deny that ecommerce is where the future of business is at right now. Ecommerce is fueled and propelled by the success of giants like Amazon and even relatively new players such as Warby Parker. Along with the relative ease and low cost it takes to set up shop, it’s no surprise that more people are getting into ecommerce. In fact, ecommerce sales are predicted to reach $4.48 billion by 2021. Which means that the market and potential for ecommerce continues to grow. Before you get too excited thinking about all the cash you’ll make by starting an ecommerce venture, hold your horses. It has been found that 74% of internet startups usually fail. Besides having to think through every single business aspect of an ecommerce project, you also have to find ways to adapt to current trends to make your site discoverable and memorable by online shoppers. With that in mind, here are the top six selling essentials for ecommerce startups in 2018. SEO is a must for every new and upcoming ecommerce business. Search Engine Journal said it best: 93% of all online activity begins with a search. SEO is the most basic (and the first) thing that you should work on when you start an ecommerce business. It drives traffic to your site, which in turn, drives customers and sales. Done well, it helps connect you with the most relevant customers. It’s cheaper in the long run that more traditional/other online marketing efforts. After all, ads generate attention for your business throughout the term of a campaign but doesn’t help you after it has run its course. Of all the links clicked on the web, 70% of them have been found organically versus ad placements. It challenges you to improve your website across a number of important user experience factors. Mobile-responsiveness, site usability, and page load time are just a few elements that contribute to a better user experience and improved SEO. SEO is a long-term investment. Know that once you implement SEO, you won’t necessarily be experiencing its effects immediately but it is the gift that continues to give. Unlike other marketing strategies, where you have to restart your efforts after each campaign, SEO keeps working. Be persistent and consistent to reap rewards. If you haven’t heard about social selling, according to Hootsuite, it is the “art of using social networks to find, connect with, understand, and nurture sales prospects.” Businesses that use their social media sites to connect with their customers are engaged in social selling even if they aren’t aware of it just yet. Engaging and building relationships with prospects is a way to keep your business at the top of their minds until they’re ready to take action. Social selling is effective. 78% of salespeople that use social selling outsell their peers that don’t. Besides offering the ability to nurture leads and build relationships with your prospects, social media has also become savvy enough to include integrated selling platforms. Platforms that can help you to take advantage of how people are engaged in social buying, like finding vendors and researching them by reading reviews. By using these integrated platforms on social media sites, you’re not only building and nurturing relationships but you’re also giving customers an alternative channel to purchase your product and an option to act immediately when they are interested. Facebook is the largest social networking site, with 2.13 billion users (as of December 2017), with people spending about 40 minutes on the site each day. If you haven’t yet set up a Business Page on Facebook, you’re missing out on a huge opportunity—even in light of their recent organic zero news feed change. 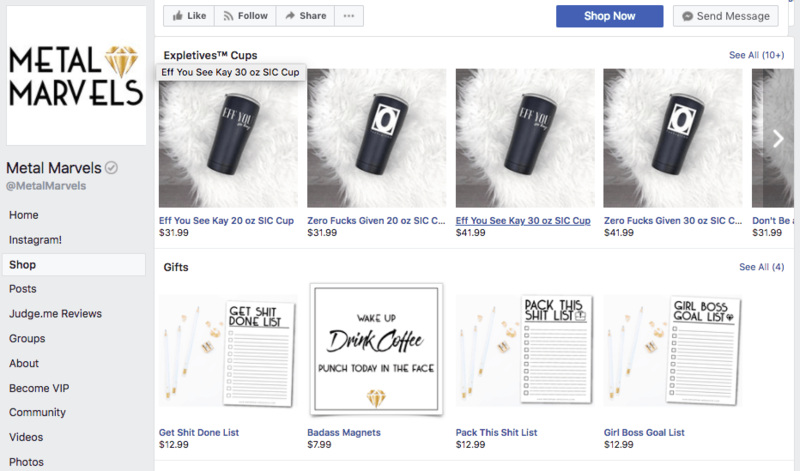 If your ecommerce shop has a Facebook Business page, you can use it to create ads, but the Facebook Shop tab will be available to you as well. All you have to do is add it to your page, setup your shop details, configure payment methods, then add products. Once completed, you’re ready to sell on Facebook! Facebook’s sister site also has an ecommerce selling counterpart called Instagram shoppable posts. They were borne out of the clamor that it was hard to purchase products from within the app. In the past, users who clicked on Instagram’s singular clickable bio link were redirected to an external browser displaying the company’s website, which would disrupt the seamless experience shops were aiming for. Instagram introduced the shoppable feed, which users can differentiate from other Instagram posts due to the shopping bag icon at the bottom left (when appearing on the feed) or at the top right (when appearing on the profile). Users can tap the image to see the details, and when they tap on the product details tag, they will be led to a page within Instagram where they can see more information about the product. They can also directly tap on the “Shop Now” button to take them directly to the company website to complete a purchase. 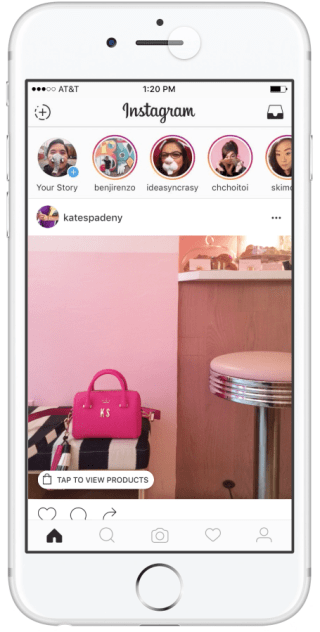 Instagram shoppable posts are just like normal Instagram posts that you can promote to show up on others’ feeds. Note that this is only applicable for Instagram Business accounts. Video, which was touted as the “next mega trend” (after mobile) by none other than Mark Zuckerberg, is particularly effective when used in ecommerce. 90% of consumers say videos are helpful when deciding to make purchases online. And 64% say that they are more likely to make a purchase after watching a video. Video is easily shareable, which is a win for your marketing efforts. For example, if you share a video that customers find and like, they might also share the video themselves, getting more eyes on it with few (if any) costs on your part (thanks to the generation of organic traffic). If you’re targeting a younger demographic, video is where it’s at—younger people watch more video than TV. Also, video contributes to your SEO efforts: research has shown that Google favors sites with video (ideally hosted by YouTube, a Google product), putting those sites on top of search engine results. If you want to get started on video but don’t know how, it’s important to realize that you don’t necessarily need to shoot fresh video. There are video software tools like Animoto (which helps you easily create animated videos) that offer a bunch of templates you can use to scale this process—especially if you have a lot of products to show off! An automated email marketing software tool can be extremely useful to ecommerce shops. You will be using this tool to inform and contact customers about new arrivals, promotions, and sales. Email is 40x more effective in selling compared to social networks because it goes straight to your customer’s inbox—no need to worry about organic reach, or a lack thereof. Because of this, email has a 3800% ROI. Besides encouraging sales, you should also use email as a relationship building tool. Automated Social Proof Program. These emails should be sent to customers a few days after they received the product, for the purpose of getting a customer review. Almost all email providers can automate this for you and top options include MailChimp, Klaviyo, and Springbot. Rivet Works is yet another tool that asks for reviews and photos. 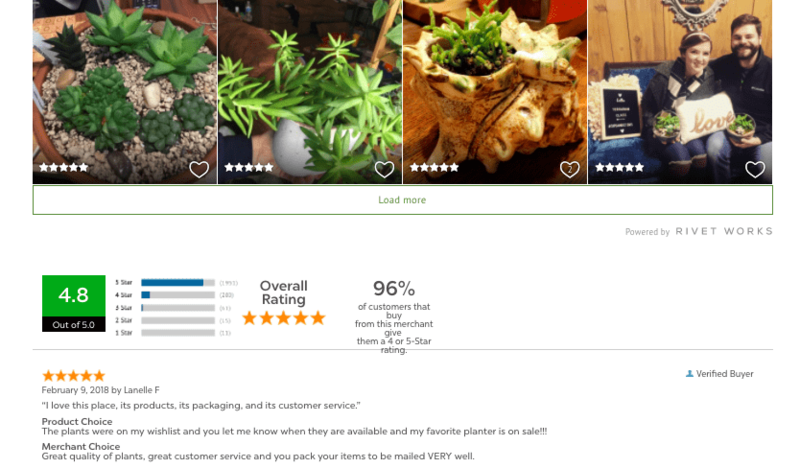 To see an example of this concept in action, Mountain Crest Gardens does an excellent job of displaying customer reviews submitted through their website/email. Abandoned Cart Emails. These are emails that you send to remind customers that have abandoned their shopping carts. This email is effective in generating sales, especially since 70% of shopping carts are abandoned. You might opt to include coupons and discounts (especially on shipping) within your abandoned cart emails to encourage a conversion. You can also use tools like SUMO or JustUno to deploy email popups to capture interest or conversions before shoppers leave or to upsell after they buy. With more than half of people accessing the internet through mobile phones, and Google’s recent announcement that mobile page load speed will be search ranking factor, optimizing your ecommerce shop for mobile is more important now than ever. Since ecommerce shops involve large media files like photos and videos, you should also opt to use an image optimizer to help make your site load faster. BigCommerce offers the Akamai Image Manager, which automatically optimizes your images when you use their platform. Repeat customers spend 67% more than new customers, which is why it is important to setup customer loyalty programs to retain those customers. Community building programs, on the other hand, is how a small business transcends being competitive and becomes relevant. Ecommerce shops are growing in popularity because they are easy to setup and require low capital and overhead costs. But because of their popularity as a modern business venture, it can be harder for businesses to sustain successful operations—especially with so many shops coming into the market. This is why ecommerce stores need to up their game when it comes to getting the word out.